Forget the hassle of getting paid. Create your very own personalized PayPal.Me link and share it with your customers to get paid. Get your PayPal.Me link today! 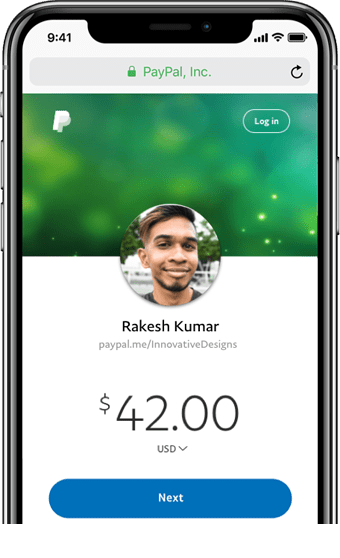 Share your PayPal.Me link on an email, a text message, or add it to your website and social channels to let your customers pay you. Never miss a business opportunity. Now you can close deals on the go without the hassle of logging in. the same low rates apply.